Vehicle wraps that make your mouth water! The food truck industry has been growing every year for almost the past decade. I fact, its estimated value is over 1.2 billion worldwide! All those food trucks promote their brand when they drive; but most importantly, they attract customers with their enticing trucks wherever they are parked. Are you selling gourmet? Southern BBQ? Fresh and light? Seafood delight, or tailgate party? Your logo, your colours, and the photographs are all part of what keeps people talking about your food – and tweeting to their friends about your truck(s) (including where they are!). Auto Trim DESIGN covered the Canadian Hot Dog truck, featuring Fresh Cut and Curly Fries. There’s no doubt what you’re going to enjoy when you buy from this vendor. 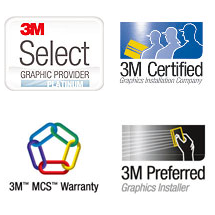 We appreciate Auto Trim DESIGN’s partnership in successfully completing our installs within your area. Thank you Paul, for your help to make it all happen. Copyright ©2018 Auto Trim Design Incorporated. All rights reserved.